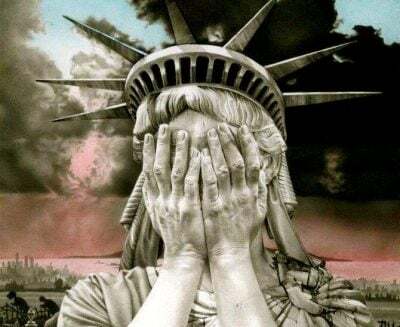 “There are many respects in which America, if it can bring itself to act with the magnanimity and the empathy appropriate to its size and power, can be an intelligent example to the world. We have the opportunity to set an example of generous understanding in our relations with China, of practical cooperation for peace in our relations with Russia, of reliable and respectful partnership in our relations with Western Europe, of material helpfulness without moral presumption in our relations with the developing nations, of abstention from the temptations of hegemony in our relations with Latin America, and of the all-around advantages of minding one’s own business in our relations with everybody. U.S. Senator James W. Fulbright (1905-1995) The Arrogance of Power, 1966. Despite having met and befriended some fine Americans over the years, my long-held opinion of the U.S. in particular and the American people in general — an opinion confirmed after I read Senator Fulbright’s book in the late 60s — has not only remained doggedly unchanged, but has in fact become more entrenched and pessimistic. Such entrenched pessimism stems from the inescapable truth that regardless of an illusory concept of the “American exceptionalism” that arrogantly presumes to present itself as the “superpower” champion of democracy and human rights, the U.S. is in reality the world’s biggest violator of the very ideals it so hypocritically claims to champion. 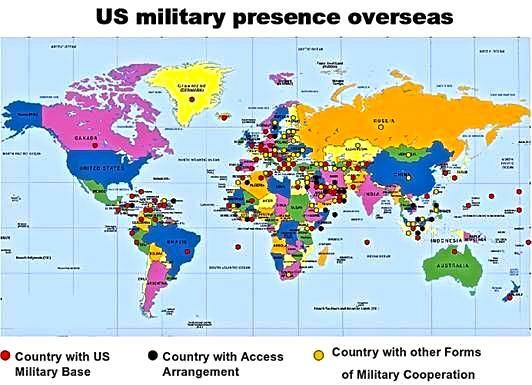 This superpower which straddles the world with some 800 military bases in more than 70 countries and territories abroad — Britain, France, and Russia combined have only about 30 foreign bases — has been responsible for the killing of more than 20 million people in 37 “Victim Nations” Since World War Two. “In the councils of government, we must guard against the acquisition of unwarranted influence, whether sought or unsought, by the military-industrial complex. The potential for the disastrous rise of misplaced power exists and will persist. We must never let the weight of this combination endanger our liberties or democratic processes. We should take nothing for granted. Only an alert and knowledgeable citizenry can compel the proper meshing of the huge industrial and military machinery of defence with our peaceful methods and goals, so that security and liberty may prosper together.” President Eisenhower in his 1961 farewell address to the nation. Needless to say, Eisenhower’s warning fell on deaf ears and the latest Congressional homage to the military-industrial complex was recently payed in September to the tune of a $700 billion defence policy bill designed to maintain America’s position — with an endless War on Terror and military interventions including regime changes — as a global military power. To make matters even worse, according to the most recent study conducted by the U.S. Department of Education and the National Institute of Literacy, 32 million adults (14 percent of the population) in the U.S. can’t read; 21 percent of adults in the U.S. read below a 5th grade level; and 19 percent of high school graduates can’t read at all. The prevalence of such illiteracy in the U.S. may explain why 62,979,984 Americans voted for Donald Trump — an egocentric mentally disturbed racist illiterate with psychopathic tendencies — to become President of a nation whose government’s first allegiance is not to the welfare of the American people, but to the Apartheid policies of an Israeli state guilty of barbaric crimes against humanity. Some of the wide ranging downsides of illiteracy — the U.S. Federal Outlay on education is only 3% — are outlined on this link.